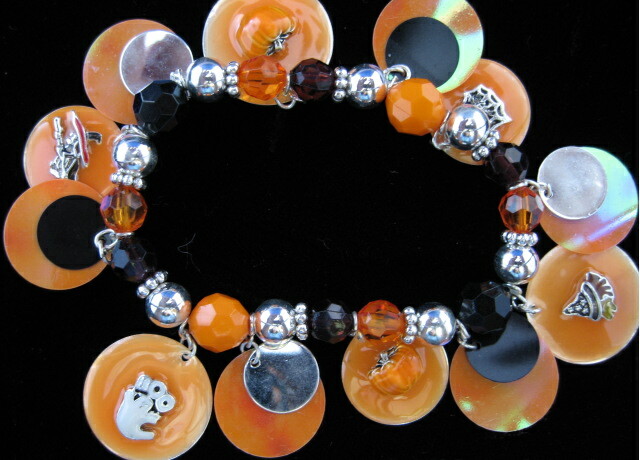 Fun Black and Orange Halloween Stretch Bracelet with pumpkins, a spider and web, witches and a ghost. 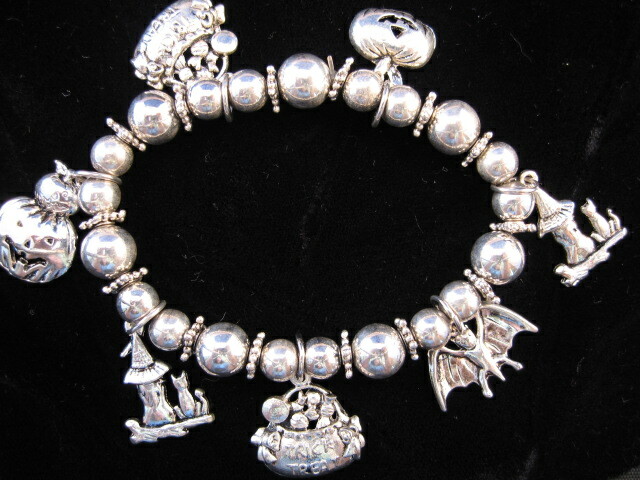 Silvertone Halloween stretch charm bracelet. 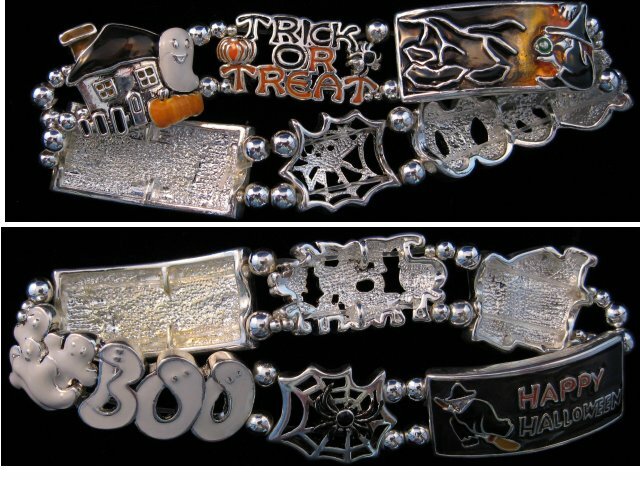 Charms include Jack-o-lanterns, witch and cat, bowl of candy and bats. Great spirited bracelet!